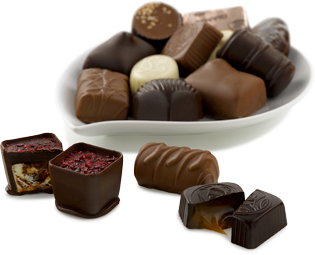 For hundreds of years, pairing the finest Gourmet chocolates with International Wines has been a common tradition, bringing the extraordinary pleasures of sight, feel and taste to the likes of Shakespeare, Napoleon, Catherine the Great and Queen Isabella! And most recently Gourmet Chocolates are also being paired with American Microbrewed Beers, introducing a whole new range of tasting experiences. Everyone's tastes are different, but if you’re looking to try artisanal chocolates with international wines, or try out something completely new at your next wine and chocolate party, rely on a wine and chocolate club subscription from MonthlyClubs.com to satisfy your palate. Now, our Twenty-First Century sophisticated palates have discovered the major differences between common chocolate and real CHOCOLATE, and we have begun to pair many International Wines, and some American Microbrews with Grande Cru and vintage chocolates. By the way, like fine wines, dark chocolate improves with age, when stored properly. In general, your choice of wine, beer, and liquor must be able to stand up to the chocolate you choose. Together they will create a mysterious alchemy. Check out our recommended wine pairings with dark, white, milk, and bittersweet chocolates below. 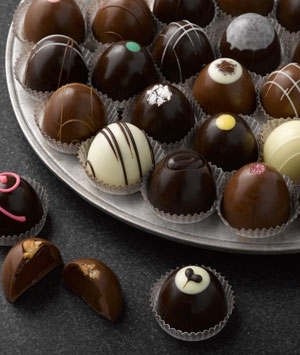 Truffles are often filled with Winter and Summer Cabernets, Merlot, Champagne, Port and Chardonnay, so it follows that these wines will complement your chocolates. Try a creamy chocolate cheesecake with a soft Merlot. 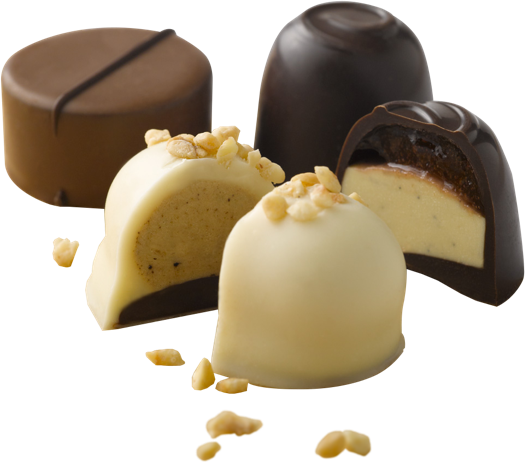 Some fortified orange muscat wines made in California are intensely flavored and will go well with any kind of white chocolate. White chocolate is often combined with fruit and berries. In general semi-dry white wines with a burnt aroma and a little sweetness will complement milk or white chocolate. Try Rieslings, Sauternes, Italian yin santo, and semi sweet white sparkling wines with chocolate, especially Moscato d'Asti which has just a prickle of carbonation. Sweet natural wines with flavors of dried fruits, spices, and oak complement milk and white chocolate … the marriage between the two will be tender, bold. Rich Bittersweet Chocolate with an equally rich Cabernet Sauvignon is an outstanding tasting experience. Both have a slight bitterness, a roasted flavor, and an earthy quality. The Chocolate helps take away some of the astringency and the dryness of the wine. Try melding the two to make an extraordinary sauce to add to desserts. Gild a warm bittersweet chocolate cake with orange-muscat and serve it with raspberries and port ice cream. Using both muscat and port together is exotic and your dessert will be unforgettable. Chocolate is fast becoming an item to pair with beer. A very dark beer, such as Grant's Imperial Stout, will be a winner if paired with your favorite chocolate dessert. Dixie's White Moose White Chocolate Brew is a great example of the myriad of recent innovations in the microbrew revolution. It’s clearly in full swing! Many new fruit microbrews, compare to a port or a dessert wine, and will pair well with desserts…. Pyramid Apricot Ale and Belgian Lambic are two examples. And "Have some Madeira, my Dear? "… a perfectly charming selection. Liquors with a wine base that are aged in large barrels, like Cognac or Armagnac, have amber colors, the aromas of oak, leather and dried flowers. And these aromas find total expression with a chocolate of high cocoa solids. If you want to create your own wine and chocolate of the month club, but would like to save a little bit on your monthly shipments, then look no further! MonthlyClubs.com proudly offers wine and chocolate of the month club discounts for all of our members. Simply visit our coupon page, find the right code for your shipment, and apply it when you create your subscription box membership using our Design Your Own Club™ program. It's that easy!